Lee Lovett began singing at age 12 as a soloist in his Prep School choir, which included live radio performances. In his teens, he won several amateur shows yodeling, whistling and singing country western ballads. In college, he soloed in church and sung pop songs in several duets, trios, quartets, performing at most college functions, in local pubs, on live radio, and winning more amateur shows, which were then popular supplements to movies, radio and primitive TV. 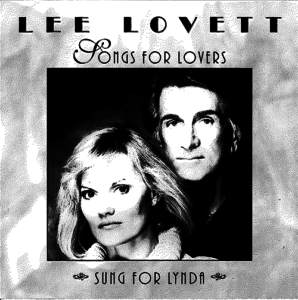 Decades later, in the 1990’s, he made a CD, Songs for Lovers, as a gift to his wife, Lynda Barnes Lovett.